via The Development of Balto | Type Supply. The typeface was, of course, Johnston Sans and, although Eiichi didn’t know it at the time, it was a typeface created by Edward Johnston and unique to the London Underground. It was this typeface that helped motivate him into becoming a typographer and indirectly this that meant when Colin Banks (one of his course assessors and the “Banks” part of Banks & Miles) offered him a job as a typographer post-graduation, he leapt at the chance. It was also this typeface, Colin Banks told him when he arrived, that Eiichi would be working on. He had been hired to redesign Johnston Sans. 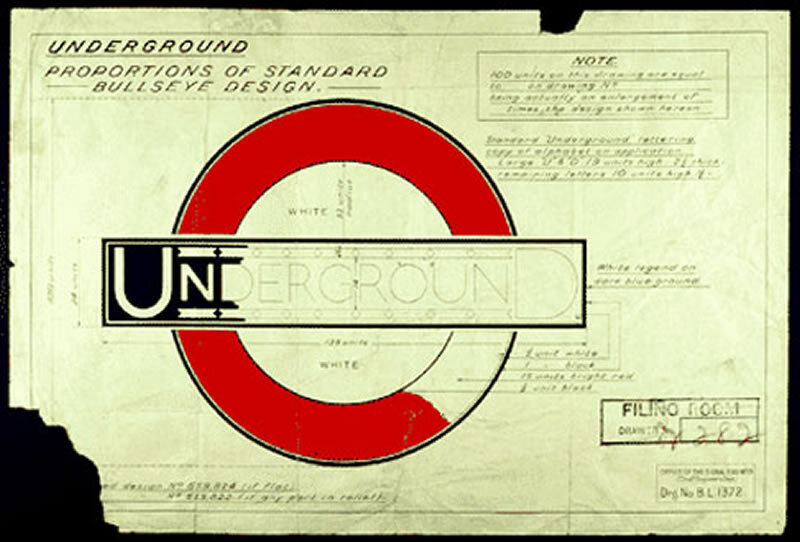 via A Typeface for the Underground – London Reconnections. Among other very insightful comments, he questioned my decision to bring the terminals [the tip-ends of the ‘S’] all the way around. His point was that it seemed out of character with the style. He was right. So, I went back to trying to figure that out. I opened the terminals back up. Then I opened them up as far as I could. That looked awful. Then I brought them back a little. Then some more. Then some more. Eventually I settled into something that I thought worked. These tiny things may seem like inconsequential details but they are very important. I teach type design and I like to tell my students that while these minuscule changes won’t be noticed by most people, they will be felt. To create the Balto typeface, typographer Tal Leming tried numerous variations of every letter and symbol of the alphabet in various styles. The GIFs above show the transitions from start to finish for the letters G and W, rendered respectively in Balto Black right and Balto Ultra left. via The Typography of Speed — re:form — Medium. Melton: Oh, Christ! Yeah, exactly, I couldn’t do that. I had to do something right away. I said in the article that I wrote for The Loop magazine, when Steve asked you a question you didn’t ramble and whatever you did, you didn’t make up an answer. And if you didn’t know, you said that you didn’t know. And more importantly, you told him when you would have an answer. So sometimes, when you would get these emails, you’d had to be blunt and say: “I don’t know. Here’s what I’m doing to get you that answer and when I expect it”, you said as your kids were begging you to go out and see this nice sight in France or wherever the hell you were at. I mean, that’s just what you did. And I have sometimes have young people come up to me today and ask me about being successful in this business. And part of it is just dumb luck, being in the right place at the right time. Thank God I listened to my wife when I took that job at Apple. But the other thing is, you have to realize to really be successful to a sin, it’s kind of a Faustian bargain you make. If you’re not willing to pay that price, it’s not gonna come to you. I hate to say that. And so you have to ask yourself, is that really the way you wanna live your life? ’Cause it’s not like I recommend it, either. You have to think long and hard about that. And I know I’ve read a lot of studies how this is a stupid way for the tech industry to function. And that’s certainly true. But this happens all over, and it’s not just the tech industry, it’s just I think in the tech industry it’s on steroids […]. But damn, there is no way you can cruise through a job at Apple, Inc. That just does not happen for anybody I’ve ever seen. via Work Habits at Apple – Ole Begemann. Spark | Open source IoT toolkit. The Sound So Loud That It Circled the Earth Four Times – Facts So Romantic – Nautilus.